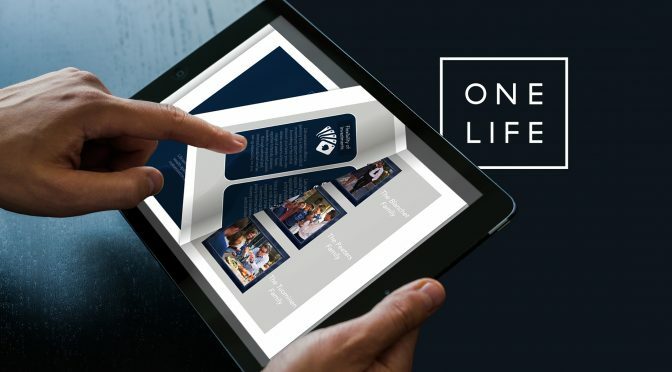 LUXEMBOURG, 17-Nov-2017 — /EuropaWire/ — Il ressort de la nouvelle étude de The OneLife Company, que les priorités financières des particuliers fortunés (les « HNWIs ») mobiles sur le plan international, sont les avantages fiscaux de leurs investissements et la gestion de leurs engagements fiscaux internationaux. Pourtant, moins de 40 % de ces expatriés estiment que leurs investissements ne sont pas aussi fiscalement avantageux qu’ils devraient l’être. L’étude fait apparaître à quel point il est nécessaire que les gestionnaires de patrimoine adaptent leurs solutions et leurs services à leurs clients internationaux. Un HNWI européen sur quatre interrogés a déjà déménagé dans d’autres pays pour y vivre ou pour y travailler, et 13 % envisagent une première expérience d’expatriation dans le futur. L’envie d’expatriation est encore plus présente dans le segment des « millennials » avec une part d’expatriés de 43 % et de futurs expatriés de 20 % chez les moins de 35 ans. L’étude, menée en collaboration avec le cabinet de recherche patrimoniale Scorpio Partnership, a analysé les avis de 770 HNWIs originaires de Belgique, du Danemark, de Finlande, de France, du Portugal, d’Espagne, de Suède, de Suisse et du Royaume-Uni. Le patrimoine moyen des participants est évalué à 2,76 millions EUR. Les réponses font apparaître que 46 % des individus expatriés ou envisageant l’expatriation souhaitent pouvoir bénéficier de conseils fiscaux dans le cadre d’une proposition de gestion de patrimoine internationale. En particulier, 27 % estiment que l’assurance-vie devrait faire partie de la suite de produits ; un pourcentage qui atteint 39 % chez les moins de 35 ans. San Antonio, Texas, January 13, 2015 — /EPR MANAGEMENT NEWS/ — Byrd Imperial Group is seeking 1 to 4 Executive Advisors to join our team by helping to raise funds to build and operate a new franchise headquarters in Texas. In exchange for successfully seeking out and securing a 10% Preferred Equity Investor who subscribes to a minimum investment of $3.5M, Byrd Imperial Group will issue 150,000 shares of common stock at no cost. An Executive Advisor could earn up to 4 times that amount or 600,000 shares by securing a single qualified Investor. In addition to this offer, Byrd Imperial Group is offering 4,000,000 Preferred Equity Shares at a price of $3.50 per share with a minimum purchase of 1,000,000 shares. 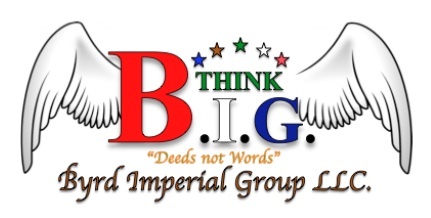 Byrd Imperial Group LLC. (www.byrdimperialgroup.com) is a franchise development and management company with a total of 9 new business models. Our business plan combines 6 new franchise opportunities along with our internal finance company all-operating at 1 flagship location. From the company headquarters in Texas, we will be able to efficiently manage, grow, and operate each new business opportunity. After smoothing out the operating procedures, the home office location will serve as a springboard to advance each new business as single point locations through nationwide franchising. Contact-Details: Byrd Imperial Group LLC. Hendren Group is a financial management and investment company dealing with investment methods and strategies. Based in Tokyo boasting a large base of private clients and a well skilled team of advisors, they conduct research and then subsequently develop short and long-term systematic approaches to achieving optimum returns on investments for themselves, their associates and for their current client base. Japanese carmakers, Nissan, are set to introduce a range of cheaper cars under the umbrella of their Datsun brand, exploiting a gap in India’s expanding automobile market. The first car to be put on sale is a reasonably priced hatchback, retailing at $6’700, and later models are expected to be sold for as little as $4000, making it a financially viable option for many Indian car buyers. Nissan is not the first global automaker to realize the potential for profit through producing a low cost car aimed at the Indian market, with chief engineers at Toyota Motor Corp. putting forward designs for exactly this purpose, but such proposals have so far been rejected for fear of a low cost car tarnishing the company’s name. Nissan have overcome this potential problem by producing this range of cars under the Datsun brand name, thus distancing themselves from the less luxurious vehicles. Set to coincide with the introduction of this new line of cars, Nissan also has other plans to expand its presence in India by increasing the number of dealers from the current 100 outlets up to 300 outlines by 2017. By that time, Nissan expects to be generating between 35 and 50 percent of their in country revenue through their Datsun line. A senior analyst at Hendren Group predicts that a conservative estimate would then give Nissan a 10% market share of the Indian passenger vehicle market which, in 2013, bought more than 2.7 million vehicles. “At the moment there is a gap in the Indian automobile market which is not being properly filled with good quality, cost effective cars, Nissan have found a way to exploit this growing need and are in the position to fill this demand, soon we will see the other big manufacturers following suit in a bid to catch up,” said David Holmes Senior Vice President of Mergers and Acquisitions at the Hendren Group. Nissan’s plans for the Datsun do not begin and end with India, but will gradually be introduced worldwide, starting with Indonesia and Russia and then later in Africa, South East Asia, Middle East and Latin America. This push into emerging markets is a vital part of the company’s mid-term plan, Nissan Power 88, named to emphasize its aim to achieve a global market share of 8% and increase its corporate operating profit to a sustainable 8%. Hendren Group is set to continue to advise clients to acquire shares within the Asian markets adding to successful diversified portfolios. Quest CE President and CEO Alan Krenke announced the promotion of Mike Kufahl to Vice President – Client Relationship Management. Kufahl joined Quest in March 2006 and acts as the company liaison for several key accounts. Prior to joining Quest, he worked as an Account Executive for Strong Funds in Milwaukee. Optima Associates, Inc., an operations, risk and asset management consulting firm based in De Pere, Wis., has come up with a new way to assist motor carriers with DOT compliance. The company will provide a simulated DOT motor carrier safety audit and waive its consulting fees for any motor carrier that can score a satisfactory rating in each of six audit factors. Optima will conduct a full DOT compliance review using the motor carrier safety fitness criteria from Part 385 of the federal regulations, as well as the latest audit procedures published in the Federal Motor Carrier Safety Administration’s Field Operations Training Manual. For motor carriers that accept Optima’s challenge and score a satisfactory motor carrier safety rating in all six audit factors, the company will waive its usual consulting fees. In these instances, motor carriers will only be charged for expenses incurred by Optima in the course of conducting a DOT compliance audit. If a motor carrier scores an overall satisfactory rating but has a conditional rating in two or fewer factors, the carrier will pay 60% of Optima’s consulting fee in addition to expenses. Jeff Simon, a senior compliance consultant at Optima, says the company’s DOT Compliance Challenge is a way to reward companies that are in compliance with DOT regulations. “The companies that consistently do things right and that play by the rules can really benefit from this program. This is a way for them to get, at a nominal, expenses-only cost, an objective, outside review from a qualified DOT consultant to ensure that they’re in full compliance,” he says.